Andrea Atcheson ’99 did one show of Grill It! with Bobby Flay while she was in culinary school. Today, she runs the Heart Health Academy where she works with people to reduce their risk of cardiovascular disease through wellness coaching. Andrea Atcheson felt like a pill pusher. She had spent 19 years working in the field of cardiology, seeing two dozen patients a day for 15 minutes at a time. Many of her patients were overweight and taking as many as 30 medications a day, but during a 15-minute appointment, she didn’t have the time to teach them about wellness. In 2017, she did. Atcheson started what she calls the Heart Health Academy, where she works one-on-one with people to reduce their risk of cardiovascular disease through wellness coaching. The job suits Atcheson not only because she is a physician assistant, but also because she is a professionally trained chef who even did a stint on The Food Network. After graduating from RIT, Atcheson worked locally at Genesee Hospital for nine months before moving to San Diego, where she landed a job in cardiology. In her free time, she loved to cook. In 2008, she decided to enroll in culinary school part time while continuing to work part time. In culinary school, she submitted an audition tape to The Food Network. She got booked for one show of Grill It! 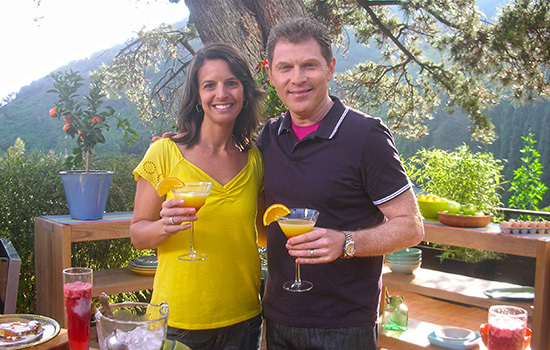 with Bobby Flay, where she cooked breakfast on the grill. After graduating from culinary school, she opened a small company where she did private cooking lessons, catered events and taught cooking classes in the community for a couple of years. In 2012, she moved back to her hometown of Syracuse, N.Y., and took a job as a physician assistant at the Syracuse VA Medical Center. She still works full time at the VA and runs the Heart Health Academy on the side, where she shows her clients how small changes can make a big a difference. “Life is too short to not really do what you love,” she said. Professor Josh Owen led an eight-day design-centric tour of Iceland during its biggest design festival called DesignMarch. The group of 17 went on design-focused tours of Reykjavík, met with local designers and attended design presentations and workshops.